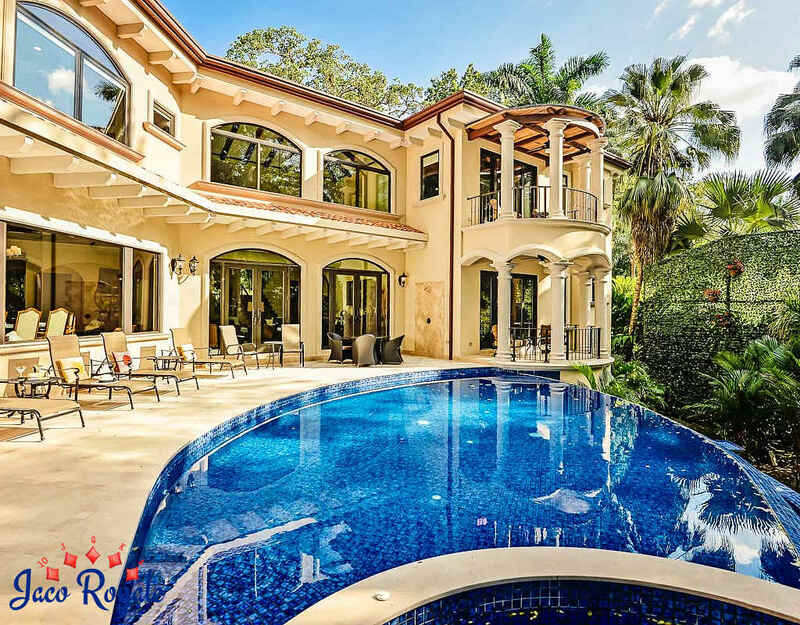 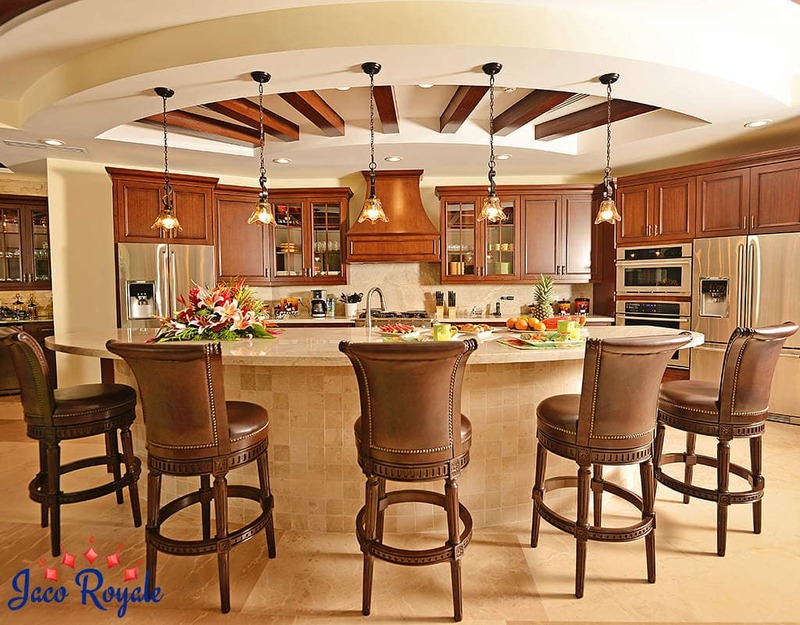 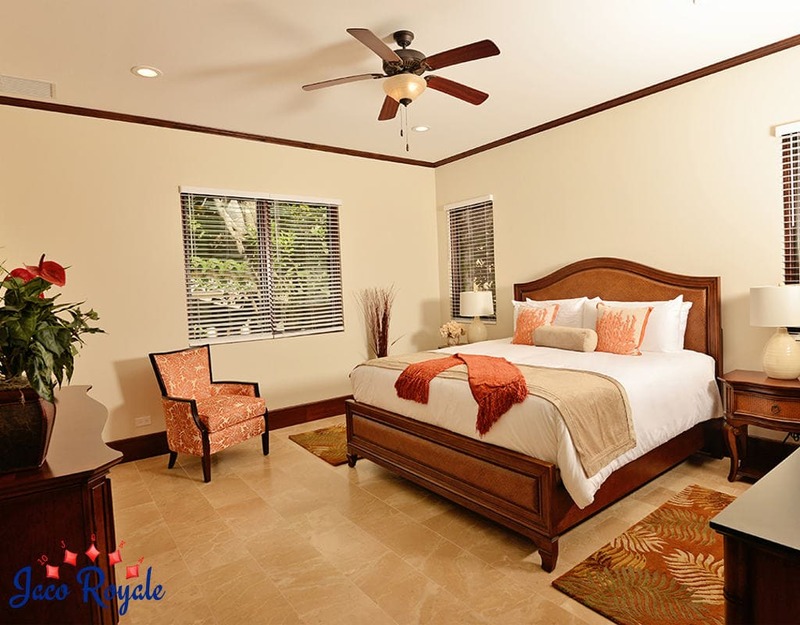 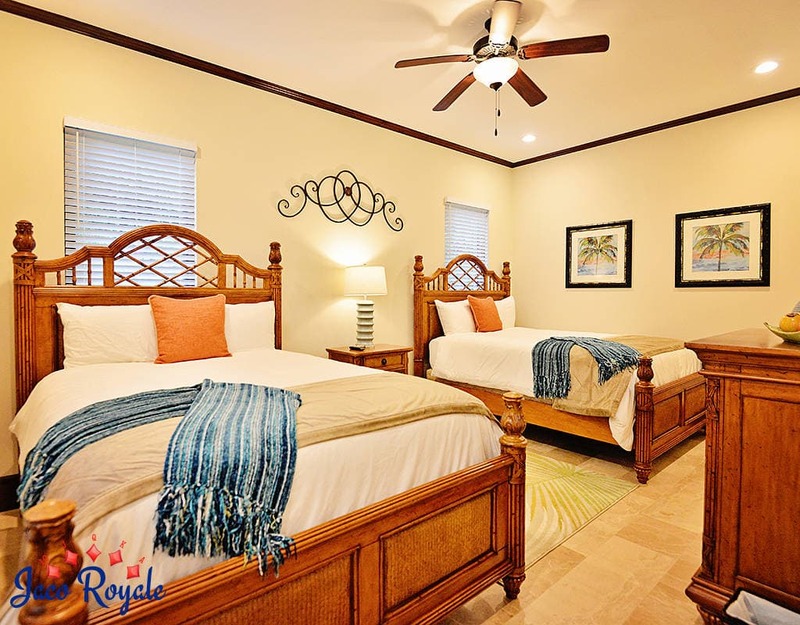 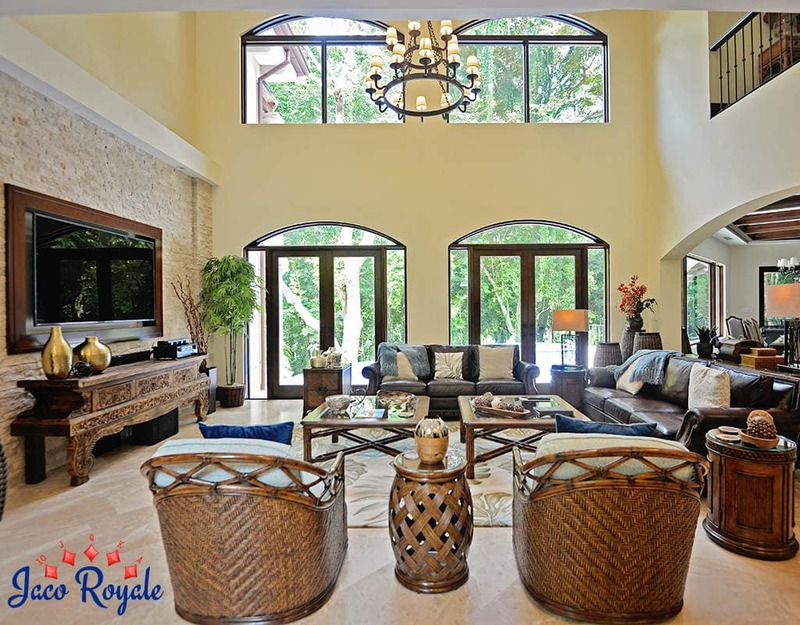 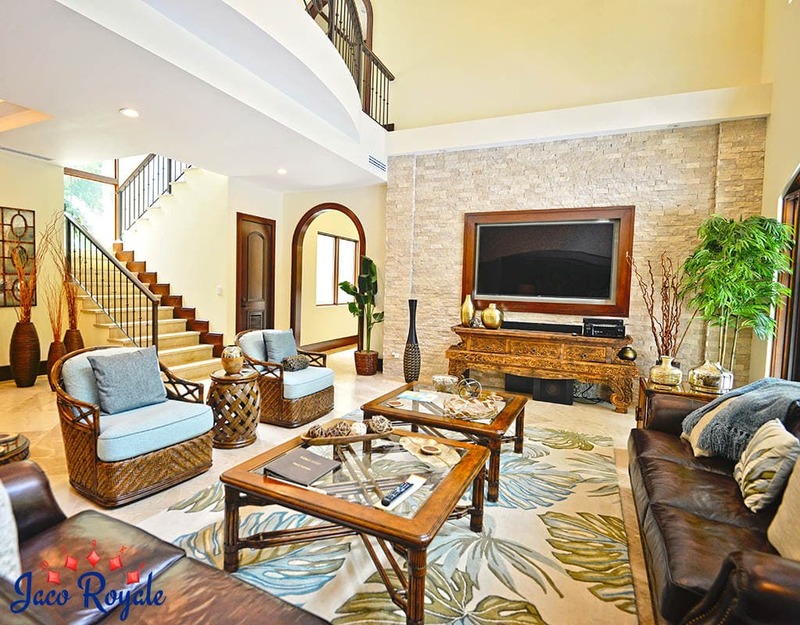 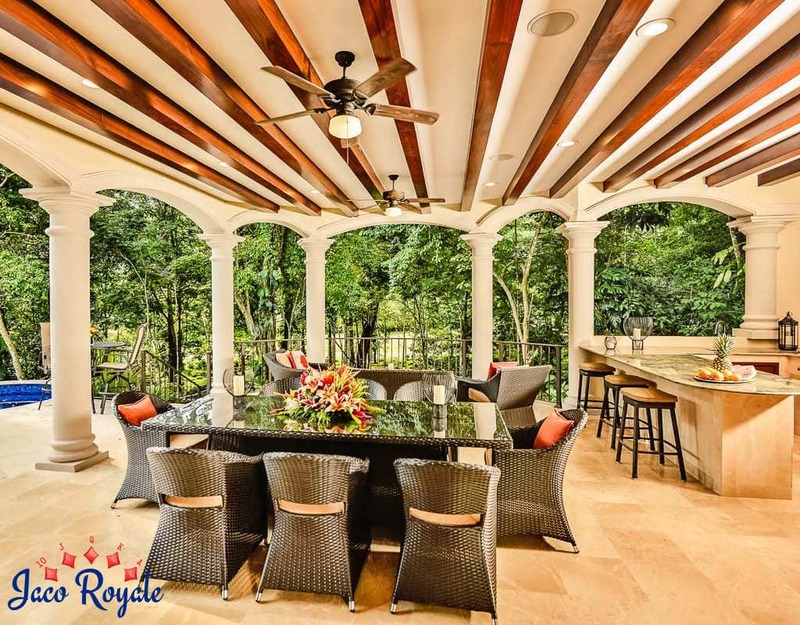 The most luxurious estate in Costa Rica, the Royale Peach occupies a whopping 8950 sq ft. 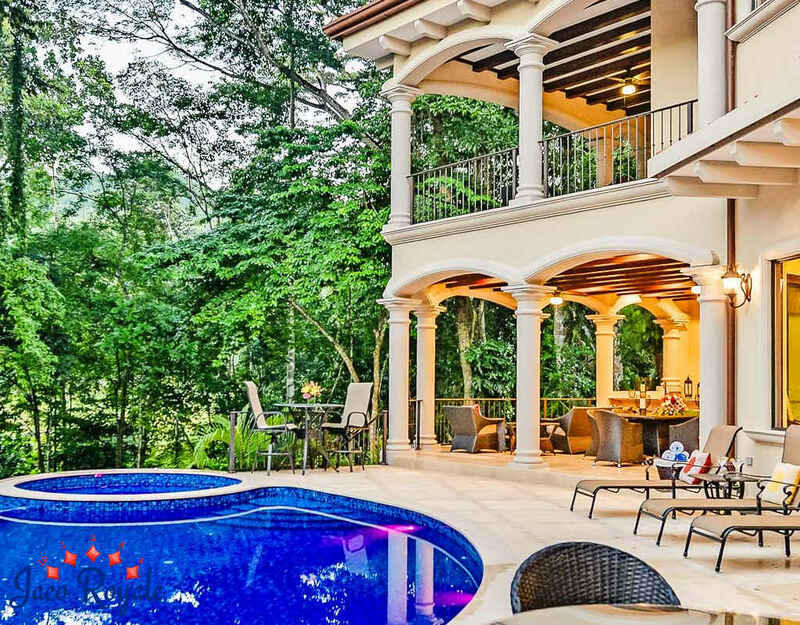 This brand new, fully furnished villa is set against a lush green backdrop and overlooks sprawling golf courses and tropical trees. 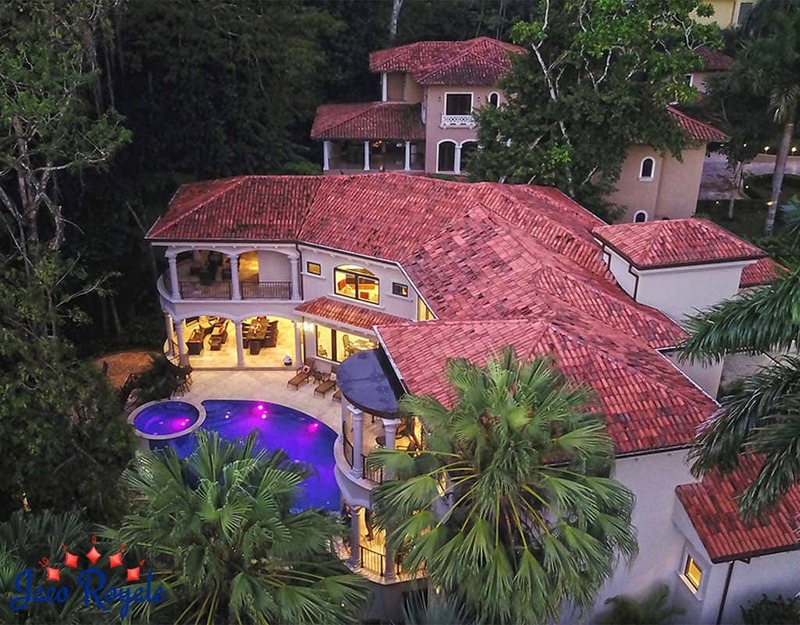 Custom designed with the most discerning tastes, the villa is a miniature tropical paradise. 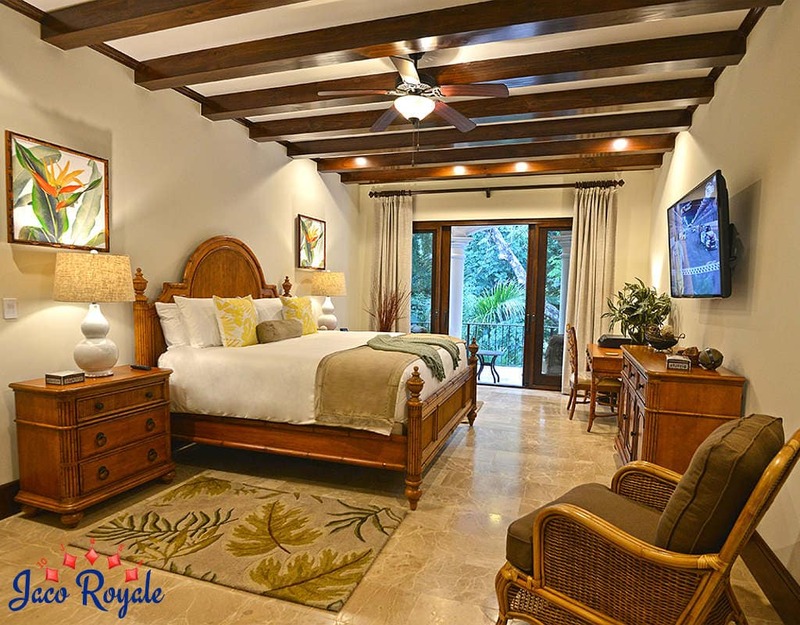 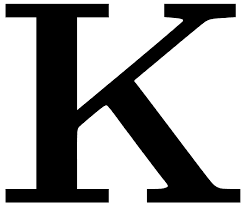 The villa has five large bedrooms designed to perfection and seven baths with marble countertops from Italy. 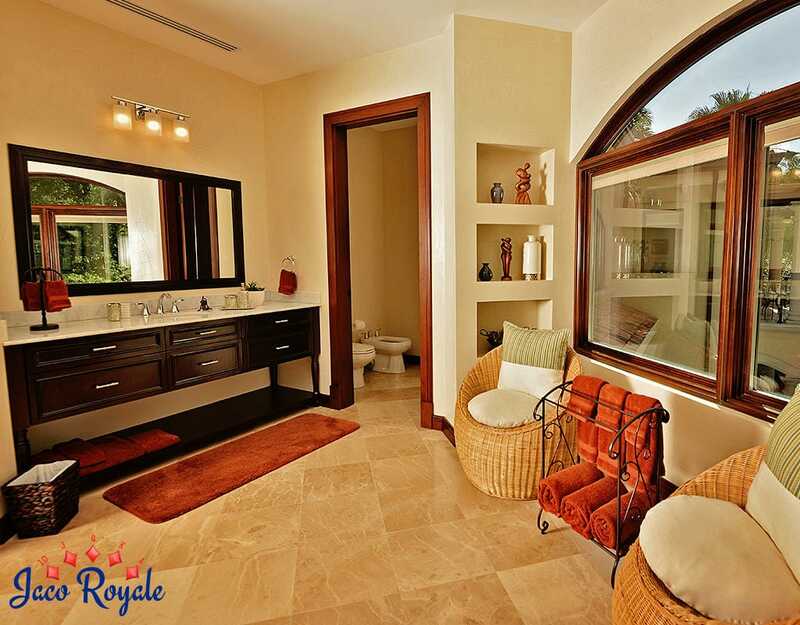 The suites feature private balconies that open to lovely views of the forest. 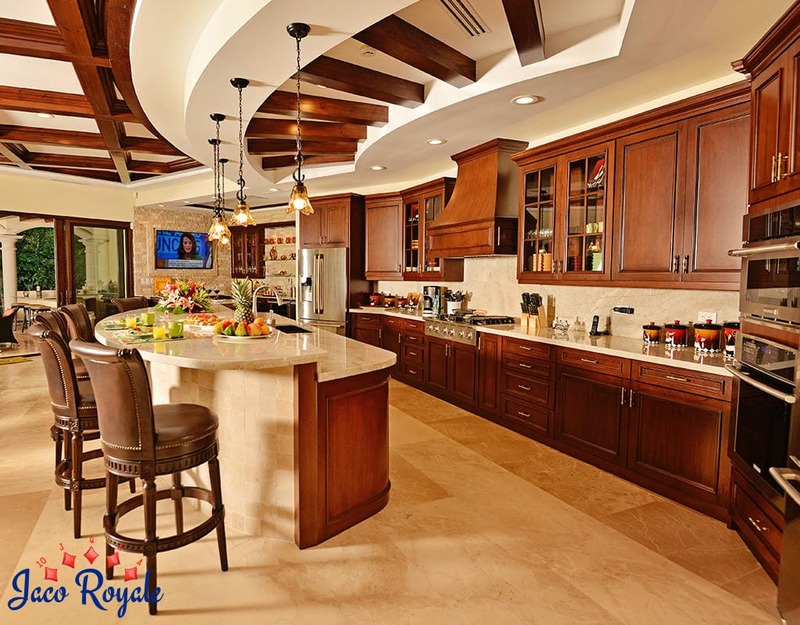 The kitchen features a large walk in pantry and all modern appliances typical for a gourmet kitchen. 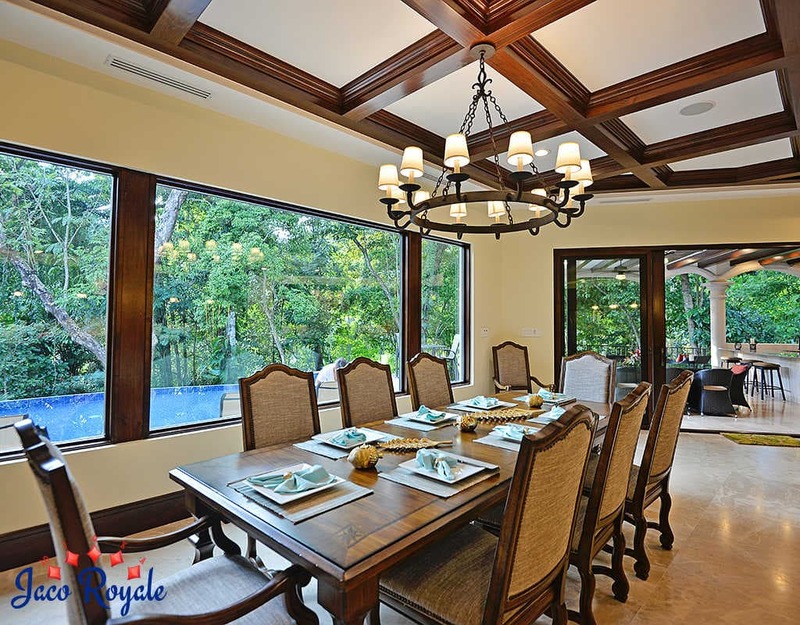 An al fresco dining area is situated just off the kitchen wing, with a rancho, bar, and barbecue. 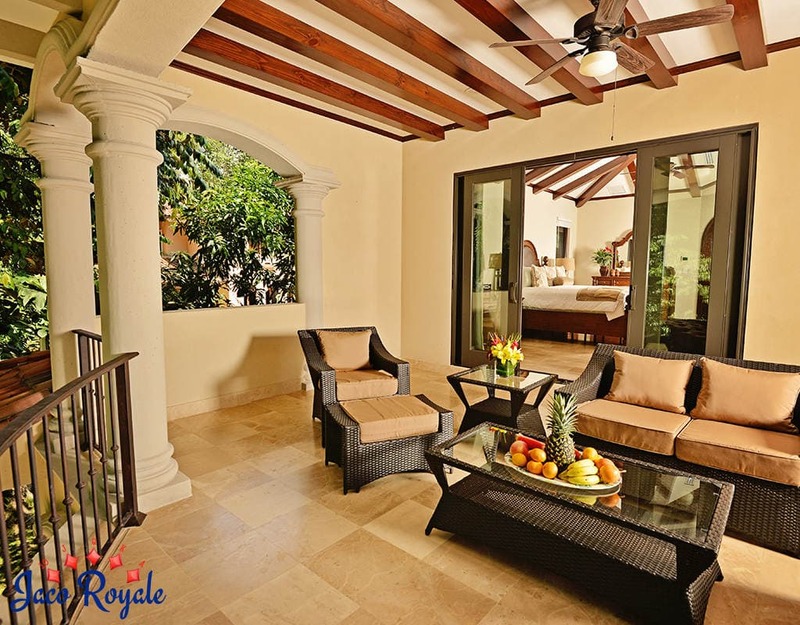 The sweeping deck that overlooks the infinity pool and spa is the perfect space for lounging in the sun with a good book and a cold drink.